This garment was created for the Necessary Taboo Show held at the Creative Lounge inpsired by Toyota located in Wicker Park, Chicago. 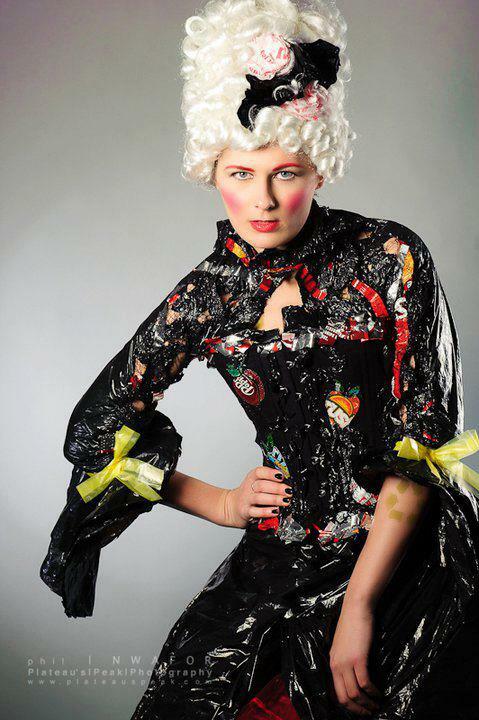 Fourteen designers were challenged to create a garment/art piece inspired by a taboo.The Taboo I chose was dumpster diving for food..I had watched a documentary about people that got lots of food from dumpster diving and I was intrigued..Most of the reason why people go dumpster diving is because they hate to see so much food go to waste and save thousands of dollars on groceries every year! So I decided to base my garment style around Marie Antoinette because she was known for wasting and spending money. 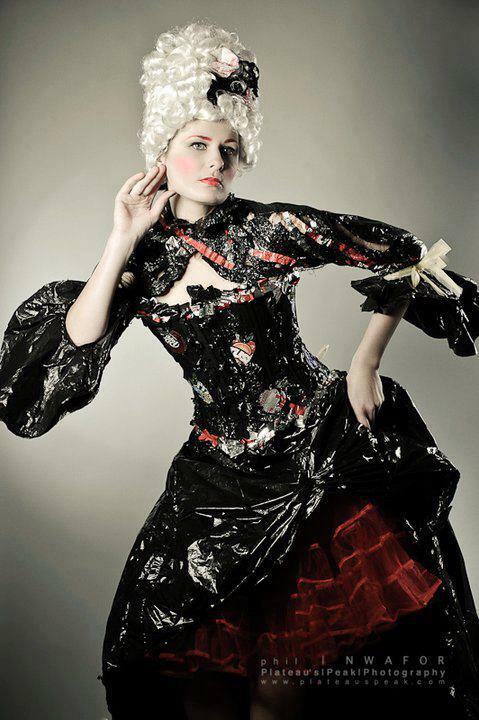 The corset and skirt are made from black trash bags, dorito bags and aluminum pop cans.